I've concluded that one of the financial perils of being a creative is the constant desire to create, style and then re-style my home on a regular basis. However, my bank manager will be pleased to learn that these makeovers are usually small and involve minimal but highly effective changes, which nonetheless create a big impact. Therefore, it came as absolutely no surprise to my other half when I announced my latest project; to re-vamp our home study (I think he's come to accept that this is the way I roll). For some time I have been feeling the urge to introduce a high energy colour wall to inspire and get my creative juices soaring whilst I'm rooted at my desk, and I think I've found my perfect colour-match! So over the next few weeks I will be sharing some simple 'make' projects and then incorporating these into the final room design. 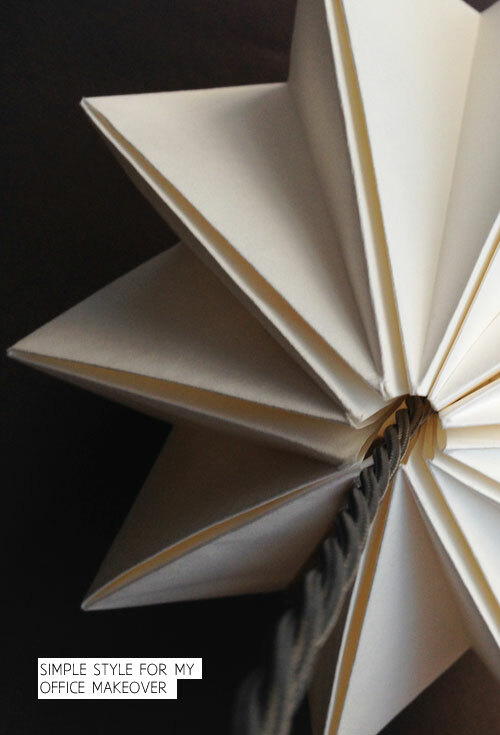 Accessories are a great way of achieving a fresh new look and I am increasingly finding that projects I can make myself offer a huge amount of satisfaction and self-reward. 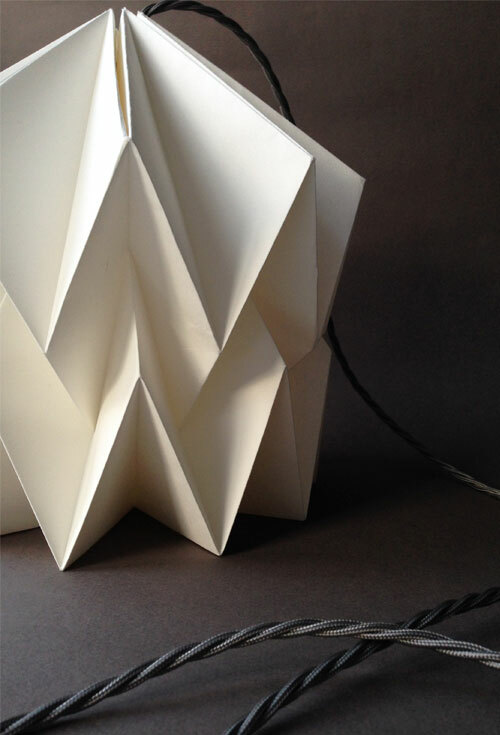 I decided to kick-off the design and make process with an origami light shade from a template in my favourite crafting book, Mini Eco by Kate Lilley - Can you remember my attempt at Kate's Geo-pots? Getting the right shade is crucial for this particular scheme because like so many rooms, the light fitting is central and framed by the doorway as you look into the room, so it's imperative that I get this right. 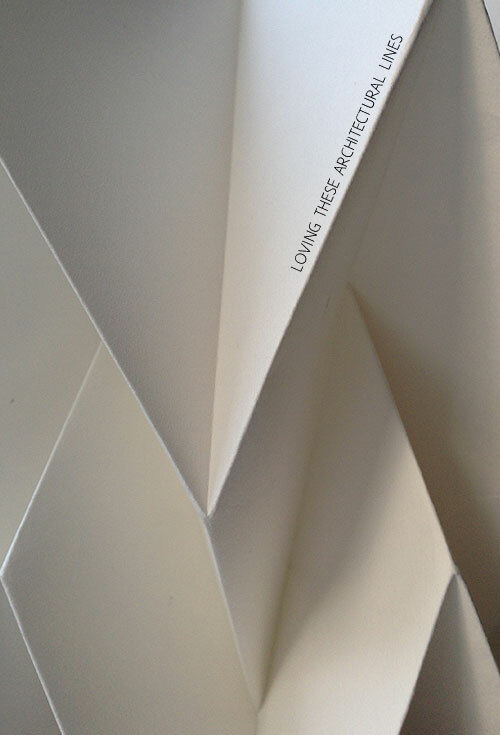 Whilst the measuring and scoring part of the origami making process was relatively easy, the careful folding of the card was rather fiddly, however, the frustration soon faded away when the paper structure finally concertinaed into its final and beautiful shape. 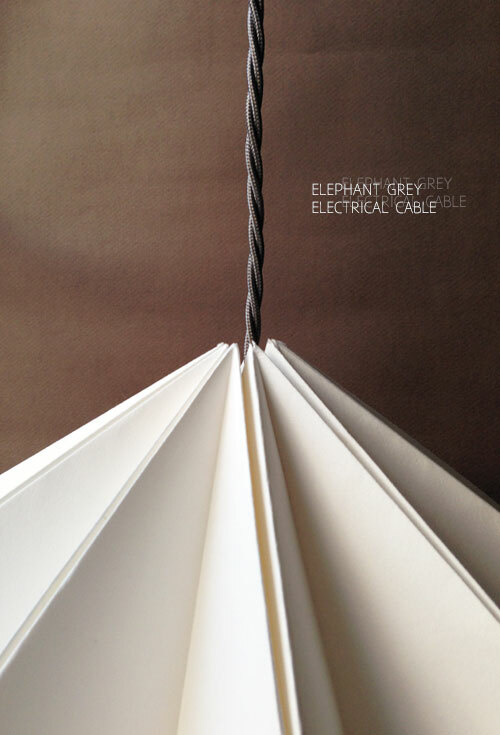 In order to keep the design and look of the shade as simple as possible, I opted for the moody coloured 'Elephant Grey' electrical cable (pictured above) from HFS Specialities Ltd on eBay, which creates a very simple contrast with the off-white card. 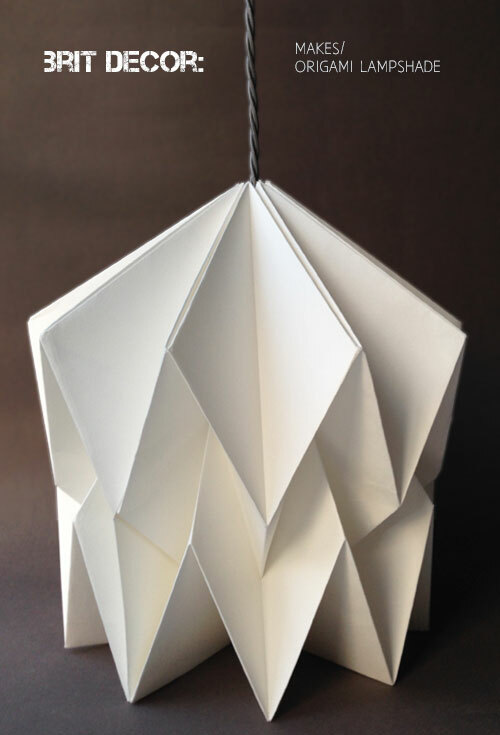 Be sure to use either an LED bulb or a maximum of 11 Watt bulb with this shade. Now I just can't wait to plough on with the rest of the redesign! I would love to hear from you if you've recently made any Oragmi, was it challenging?